Data differentiates your business. Managing its exponential growth with point products has led to mass data fragmentation, and made it impossible to protect and harness for greater value. In partnership, Cisco and Cohesity consolidate all of your data in an integrated solution that improves data visibility, protection, and use on-premises and in multi-clouds. Our joint solution puts your data to work with hyperconverged simplicity, multi-cloud agility, and global efficiency and visibility. A Cisco Validated Design provides IT prescriptive guidance for running Cohesity software with Cisco HyperFlex within Cisco UCS domains. With availability on the Cisco Global Price List, IT teams can procure a complete Cisco and Cohesity solution from a single source through Cisco and its channel partners. Replace legacy products dividing your apps, data, and clouds. Simplify and hyperconverge primary and secondary workloads with a Cisco Validated Design. Cohesity complements Cisco HyperFlex for primary apps by adding data protection and consolidating secondary data—on Cisco UCS. Accelerate your multi-cloud IT strategy with Cisco HyperFlex, an adaptive platform powering any application, anywhere, with the simplicity of HCI. Consolidate your secondary workloads, including backup target, data protection, disaster recovery, filer, object store, test/dev, archive, and analytics, with Cohesity on Cisco UCS. Streamline daily operations with policy-driven control and automation of routine tasks using Cisco Fabric Interconnects and Cisco UCS Manager for integrated hyperconverged platforms. 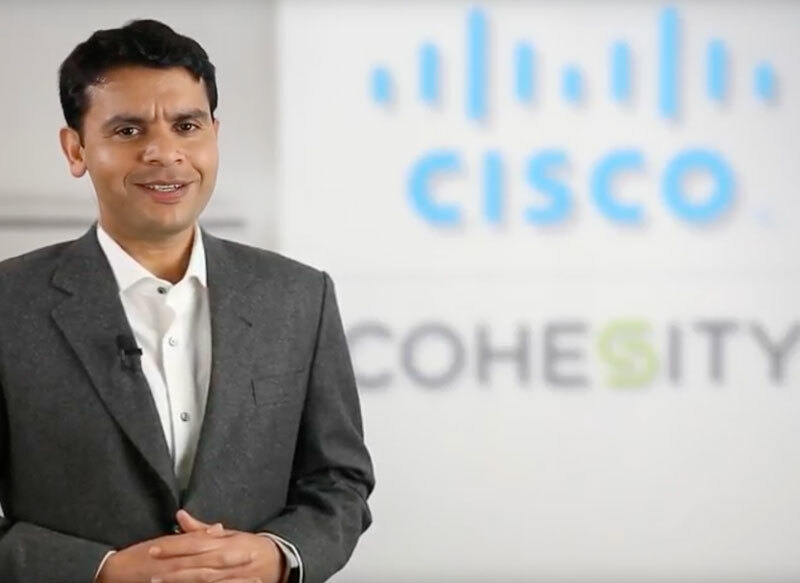 In this video, Mohit Aron, Founder and CEO of Cohesity, talks about the Cisco and Cohesity partnership and what it means to customers. Mohit outlines the importance of data as the foundation for digital transformation and how Cisco and Cohesity hyperconverge the entire data stack for both primary and secondary data, unlocking amazing new opportunities for customers. Modernize your data center and move to multi-cloud/hybrid IT with Cisco HyperFlex and Cohesity on Cisco UCS. Improve data management, protection, visibility, and access with our integrated solution using Cisco HyperFlex native snapshot API. Easily consolidate all of your data to simplify data architecture. Adapt to changing requirements on demand. Streamline IT operations and deploy rapidly. Unify management. Reduce data protection costs by up to 70%. Achieve frictionless mobility to and from edge, core, and cloud for data and apps. Take advantage of native cloud integration with AWS, Microsoft Azure, Google Cloud, and Cohesity Powered service providers Unify, protect, access, and control your data everywhere. Reduce data copies using global deduplication. Eliminate forklift upgrades, downtime, and over-provisioning with a pay-as-you-grow model. Meet SLAs with RPOs in minutes and near-instant RTOs. Gain global visibility for fast file location and recovery. Streamline compliance. Cohesity’s approach to combining its software with Cisco’s UCS servers demonstrates the power of software-defined storage platforms. Cohesity and Cisco working together to present a reference architecture for Cohesity software on Cisco is a major step forward. As data centers increase their investment in both hyperconvergence and software-defined infrastructures, the combination of Cohesity’s powerful DataPlatform software with Cisco’s UCS systems fits this strategy nicely. The joint Cohesity-Cisco UCS solution extends infrastructure consolidation beyond primary workloads into secondary workloads, which comprise the bulk of data center footprint today. We’re pleased to be partnered with both companies to offer this compelling solution to our customers. Data silos in secondary storage are a growing problem for enterprises. Combining Cohesity’s distributed secondary storage software with Cisco UCS systems radically simplifies operations and reduces costs for large enterprises. 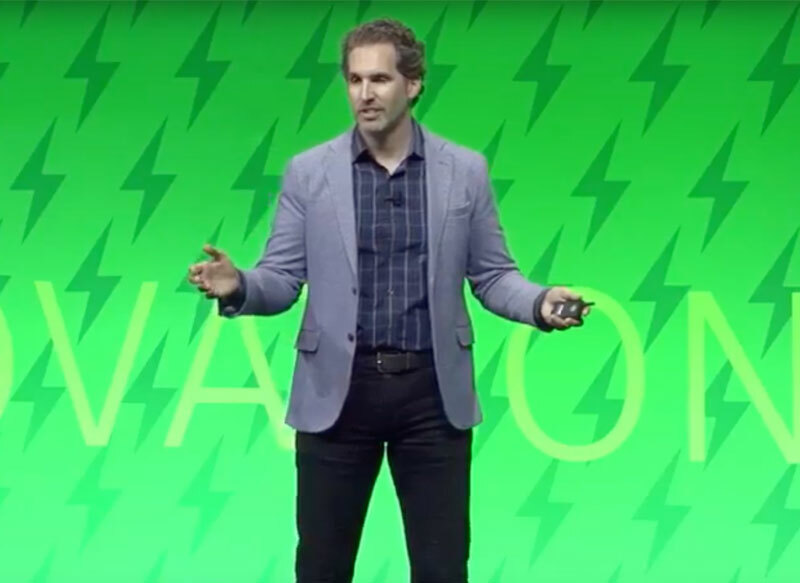 The combination of Cohesity’s intelligent, web-scale software running on Cisco’s leading server and storage infrastructure enables consolidation of a wide range of storage use cases, and brings hyperconvergence to another level of value in the data center. Cisco HyperFlex and Cohesity software on Cisco UCS hyperconverge and consolidate your primary and secondary data on a single, unified architecture. Our solution comes in a variety of jointly certified HCI configurations. Scale capacity non-disruptively as needed, starting with as few as three nodes and scaling-out linearly by simply adding individual node(s) to the cluster. For Cisco UCS S3260 populated with a single node, Cohesity supports 10TB drive with both half- and full-storage configuration options. Want to Learn More about Cohesity for Your Cisco Environment?